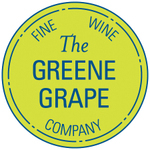 Please join me in welcoming The Greene Grape wine company to LENNDEVOURS as a site sponsor. Founded in April 2004, with a store in Manhattan and a store in Brooklyn, they strive to provide everyday wines made with integrity, skill and pride. I first became familiar with the company through an article in a food magazine. Their passion for hand-crafted, affordable wines impressed me and I'm more than excited to have them on board. But the new sponsorship is only a fraction of the excitement this brings. This is a true partnership between LENNDEVOURS and The Greene Grape. I know that many of you read this blog but can't get your hands on the wines I write about and love so much. That's all about to change. Starting in December, we'll be working together to create Lenn Thompson's Best of New York Wine Club. Every month, I'll select one or two bottles of New York wine and Greene Grape will be offering them at special pricing. And, you can either buy the wines each month, or you can enroll in the monthly club and they'll be sent to you every month. U.S. shipping laws being what they are, they can't ship to IN, KT, MD, NH, PA TN or UT, but hopefully we can change that in the future. And lest any of you ethics police out there worry, I'm not making a cent off of the wine sales or club enrollment. I'm just excited to be able to offer more of you the wines I'm so passionate about. Stay tuned for information on the first wine club offering! Are There Really "Old Vines" on Long Island? Tom over at Fermentation has resurrected an interesting discussion that has gone around and around in the wine blogosphere (and media at large) that I thought I'd bring over there to this here blog as well -- Old Vines. What does it mean? Should it be a regulated term? Does it matter to you when you see it on a bottle? As far as I know, the only Long Island winery using "old vines" on their labels is Lenz Winery, which uses it on a merlot, chardonnay and cabernet sauvignon. I think that the oldest vines at Lenz are around 27 or 28 years old, making them some of the eldest on Long Island. But is that really "old"? I don't think so. But, I also don't think it's a big deal if they have it on the label. It doesn't affect my buying decisions, whether we're talking 25 year old chardonnay vines or 110 year old zinfandel vines. To me, it's really no different than putting 'reserve' on a label. Then again, I know that locally, 'reserve' means that the wine was barrel fermented or aged in oak longer. It is more an indication of style than quality most of the time. In that way, 'old vines' is less useful than 'reserve' because it doesn't tell me anything about the wine's style. “We immediately agreed that our winery and tasting room would be oriented to serious wine drinkers like ourselves. We did not want to create a gift shop that also sells wine. We also did not want to build a bar that happens to focus on wine sales.” That’s how Hal Ginsburg, one of the proprietors of Clovis Point, describes he and his partners’ vision for their new wine venture. In 2001 Ginsburg and two friends of his – Nasrallah Misk and another who is no longer involved in the project – looked at ten acres of property on Main Road in Jamesport and decided to purchase it and turn the farm into a small vineyard with a converted-barn tasting room. Jonathan and Renae Pine and Richard Frey also joined as proprietors and the Clovis Point label was born. 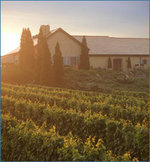 They added an existing vineyard on Herrick’s Lane in 2002 and the combined vineyards go by the name East End Vineyards. The name Clovis Point refers to the sculpted tools found near the vineyard and that now adorn the labels. These tools were used by Native Americans on Long Island’s North Fork over 10,000 years ago. Now, with vineyard manager Peter Gristina, formerly of Gristina Vineyards (now Galluccio Family Wineries) and currently of Duck Walk Vineyards, tending the vines and John Leo of Premium Wine Group making the wines, Ginsburg and his partners are hoping to open their tasting room this winter. “When the tasting room will open is essentially out of our hands since it is dependent on town approvals,” Ginsburg said. “What stands out to me about the fruit of East End Vineyards is the distinctiveness of the chardonnay fruit and the pure fruit qualities of the reds,” said Leo, who works with a lot of different North Fork fruit at Premium. I'll be writing later this week about the three wines they currently have available – two 2004 chardonnays (one reared in stainless steel, the other in French oak) and a 2003 merlot. So stay tuned. On November 19, Roanoke Vineyards celebrated its second birthday with a tasting of Big Reds...all made by Roman Roth. The wines poured included three different Roanoke bottlings, a Grapes of Roth merlot and Long Island's most expensive wine, Wolffer Estate Vineyards' Premier Cru. Unfortunately, I was unable to partake in the festivities. But, LENNDEVOURS reader Sean Reilly covered the event for us. Below is his report. It is certain that 2006 has been a watershed year for the Long Island wine industry. Never before have Long Island wines received such attention and praise from the major wine press. The Wine Spectator, Wine Advocate, Wine Enthusiast among others have all profiled Long Island wines in the past year and lavished unprecedented accolades upon the finest producers. Two names that have come up often are Roanoke Vineyards and Roman Roth. So, it was very appropriate that Roanoke Vineyards celebrated its Second Anniversary on Sunday November 19th with its third Big Red Tasting – a chance to sample some of the best red wines you’ll find on this Island. Roanoke Vineyards, owned by Richard and Soraya Pisicano, has made a big name for itself in a very short period of time. Rich, also the Vineyard Manager at Wolffer Estates in Bridgehampton, is a veteran of the Long Island wine industry. Roman Roth, acclaimed Winemaker at Wolffer, makes the wines of Roanoke. The Roanoke Wine Club is made up of an extremely loyal and enthusiastic group of wine lovers. The 2004 Preview BBQ in September was packed with fans eager to see what’s coming down the road. On the other hand, Sundays’ Big Red Tasting focused on celebrating the past and present. It was no surprise to see the tasting bar packed two and three people deep. The fact that it was held in late November and still had such a large turnout speaks to the allure of this event. First up was the 2003 Roanoke Vineyards Blend Two. A Bordeaux/Meritage style made up of 48% Cabernet Franc, 32% Cabernet Sauvignon and 20% Merlot. A Gold Medal winner and voted Best Red Blend in the 2006 New York State Wine and Food Classic, this long sold out Blend has been a favorite of mine since I first tasted it last May. It’s elegant and refined with the classic earthy aroma and taste one would expect from a Cab Franc dominated Blend. Next, was 2003 Roanoke Blend One, the big brother of Blend Two. This Blend of 48% Cabernet Sauvignon, 30% Merlot and 22% Cabernet Franc is more muscular than its counterpart, with more intense berry flavors. Parker’s Wine Advocate suggest this one may become even “more delicious and interesting” over time. Unlike The other Roanoke Reds, Blend One is still available for purchase…for now. The 2001 Grapes of Roth Merlot, by Roman Roth, was up next. Fewer than 200 cases made from a special block of vines at Martha Clara Vineyards, this wine is powerful yet elegant. Fruit forward with a certain smokiness, it is well balanced. The somewhat medicinal finish was intriguing – this is a wine to ponder. And come back to. The next selection is noted for its price tag. The $125 2002 Wolffer Premier Cru Merlot ($25 per taste at Wolffer’s Tasting Room) was made from the finest vines at Wolffer– less than 2000 bottles produced. Smokey and Chocolate-y with a silky mouth feel. Well balanced. Delighful. Finally, the 2000 Roanoke Vineyards Merlot completed the Tasting. The New York Times declared this “a great wine – a mouth-filling, lip-smacking blockbuster”. Well said. What distinguished this wine was its long yet soft, velvety finish. If I could have a bottle of any of these great wines, this is the wine I’d grab. Alas, as its long gone from availability, one is left only to hope the 2004 Merlot will live up to its predecessor. The tasting was followed by a light lunch which included some very nice chili, made by Rich Pisicano, and cake. When heading out for a day of tasting, the Roanoke Tasting Room is either the first one on the way out on Rt. 48 or the last one on the way back. Either way, a stop there is imperative. You’ve probably heard that two more local wine producers – Sherwood House Vineyards and Lieb Family Cellars – have put property up for sale. Dr. Charles and Barbara Smithen, current owners of Sherwood House, are asking $4.1 million for their 36-acre Mattituck property, while Mark and Kathy Lieb are asking $7.75 million for their vineyard house and 47.5 acres of property in Cutchogue. Houses and property go on the market every day. So what’s the big deal? Well, some onlookers are worried that these newest properties, joining Ackerly Pond Vineyards, Castello di Borghese, Galluccio Family Winery, Schneider Vineyards and other, lesser properties on the market, mean that people are giving up on the region and getting out while they can. That doesn’t sound like someone who is worried about the viability of the region’s wine industry, does it? Similarly, Ann Marie Borghese commented, “Marco and I are following our initial plan, which was to be here until the children graduated high school, and now we are structuring our next phase. The vineyard is for sale and with the time it takes to conclude this type of transaction we are starting the sequence.” Neither of their children plan to take over the family business, and they are ready to move on. The Lieb property for sale is merely the house and the surrounding property (which is covered in vines). Lieb Family Cellars’ management has been mum about the whole thing, but it doesn’t sound like the wine-making operation, Long Island’s only premium crush facilty, is for sale or in any danger of closing, just a house that doesn’t get used much. Maybe they’ll even re-invest the money from the home sale in the wine. Detractors are also pointing to what Leucadia National Corporation – which bought Broadfields Wine Cellars and Charles John Vineyard and ripped all the vines out last year – is doing. Or, more accurately, not doing. The vines the group had planned on re-planting those fields with have been made available to other growers. It’s not clear what their plans are for the future. But, while odd, I don’t think anyone should read too much into it. The confusion is compounded some by the fact that Leucadia isn’t talking to the press, or anyone else for that matter. It seems as if human nature is to be negative and worry – always seeing the worst possible outcome. But I see these changes as a good thing and an opportunity. Take lemons and make lemonade they say, right? These vineyards really are an opportunity for an influx of new passion, talent and, of course, money. It’s important in any maturing wine region for new investors to join the fray. So, let’s be patient and see these changes for what they are – the normal progression of any industry as it grows and establishes itself. If I had a few million dollars, I wouldn’t hesitate to invest in the industry myself. You're read all of the recommendations for what to drink with Thanksgiving dinner. Any magazine or newspaper has run a story already. But what about the leftovers on Friday, Saturday and Sunday? First, remember that most, post-Thanksgiving meals are more casual affairs than the day itself, so you won’t want to serve that special $100 bottle. You probably don't want to 'waste' that wine on your family anyway, right? If you are making turkey sandwiches, try a dry, or even off-dry rose'. With fresh acidity, light-to-medium body and bright berry flavors, it's a great combination — especially if you put cranberry sauce or cranberry mayonnaise on the sandwiches. Some of the best local rose's include those from Wolffer Estate Vineyards, Bedell Cellars/Corey Creek, Martha Clara, and Macari Vineyards. Wolffer's rose is the best value of the lot. Turkey pot pie, particularly my mother-in-law's rendition, is one of my favorite ways to use up those turkey remnants. Chardonnay with chicken is a tried and true pairing and I think it works with the creamy turkey pie filling here — just make sure that you steer clear of flabby, over-oaked versions with little fruit character. For post-Thanksgiving chardonnay, I'd recommend Roanoke Vineyards, Channing Daughters Winery, Wolffer Estate Vineyards, and Paumanok Vineyards. At $17, Roanoke's flavorful, but balanced chardonnay would be my first choice along with Paumanok's Grand Vintage if you want to splurge a little. Chardonnay is also a good choice for turkey-noodle casseroles like turkey tetrazinni. I've never done it, but turkey stir-fry seems like a great, and fast, way to repurpose roasted, smoked, or deep fried turkey. Spicy, floral gewürztraminer is always great with sweet or spicy Asian cuisine, and we happen to have a couple terrific ones made locally at Corey Creek, Lenz Winery, and Waters Crest Winery. Corey Creek's latest release is probably my favorite current release. I like to make Mexican food with leftovers, things like turkey burritos, tacos, quesadillas, and enchiladas. Most of the time, I like cerveza (beer) with bold, spicy Mexican fare, but I've recently stumbled upon another great option — riesling. With plenty of fruit flavor and often a hint of sweetness to tame the flames of spicy food, it can be a revelation with Mexican. Paumanok Vineyards makes a great off-dry riesling and so does Martha Clara Vineyards (particularly their 2005). If you prefer a drier style — which still works — look to Waters Crest Winery and Peconic Bay Winery. Of course, this doesn't cover all of the leftover options or wines. Try a few different things and see what you like best. Remember — trust your own palate. It's never wrong. Brenda over at Culinary Fool has also announced WBW #28, which will focus on sparklers other than Champagne. As always, if you'd like to host a future edition of the Internet's premier wine tasting event, send me an email. For Thanksgiving, Chef Mark Tafoya at The Gilded Fork has put together a creative and unique Southwestern Thanksgiving menu that includes stuffed turkey breast, chipotle-laced mashed sweet potatoes, a traditional squash dish and apple-cinnamon empanadas. And, as with all of Chef Mark's menus, I've provided some wine pairing suggestions. Pinot noir and off-dry riesling are the main players with one of my favorite dessert wines, Moscato d'Asti paired with the empanadas. Check out the menu and recipes today. This week on Appellation America, I have recommended a white wine that I think captures the unique terroir of Long Island's North Fork as well as any I've tasted. 2005 Bedell Gallery ($45), from Bedell Cellars is a complex, richly textured blend of 52% chardonnay, 32% sauvignon blanc and 16% viognier. This is a unique blend for the North Fork, or most anywhere else for that matter. Five separate lots of chardonnay were barrel fermented in French oak with primarily native yeast, and were blended with the viognier and sauvignon blanc. Pale straw yellow in the glass, the aromas immediately rise up from the glass — before swirling even begins — with lemons, vanilla bean, toasty marshmallow and oak, minerals and subtle baking spice that come together in a layered-yet-fresh nose. This blend is absolutely seamless on the palate, with the three varieties coming together without any rough edges. The result is an elegant, well-balanced wine that is nimble on the palate but extremely flavorful. Citrus, vanilla and mineral flavors fill the mouth and just the right acidity brings balance and potential longevity. Balance is truly on display here. Read more about this wine at Appellation America. On Saturday, December 9 at 12:30 p.m., Wolffer Estate Vineyards will host a harvest luncheon, where winemaker Roman Roth will offer the first tasting of Wolffer's 2006 vintage. A traditional harvest lunch will also be served in the cellar. It's $35 per person for wine club members and $40 per person for non-members. To RSVP call 631 537-5106 Ext. 20. Most everyone I've talked to says that 2006 was a surprisingly good harvest, with good flavors. This is a unique chance to taste these just-made wines. Unfortunately, Nena and I have a lamaze class all day on the 9th, so we won't be able to attend. LENNDEVOURS Readers: What are YOU serving on Thanksgiving? Via email and comments on this here blog, several of you have chimed in on what you are serving with your Thanksgiving holiday meal a week from today. Now let's make it official. If you haven't done so already, tell (via a comment) all of us out here in cyberspace what wines you're planning to serve next week. Like I said the other day, every wine writer has to do a "what wine works best with Thanksgiving dinner" story or column and Eric Asimov of the New York Times is no different. What I love seeing, however, is the wine Eric and his tasting panel chose as the best pairing wine of their tasting -- Shinn Estate Vineyards 2003 Merlot (See my review). Both that merlot and their "Red" (a merlot-heavy blend) are terrific food wines. Of course, co-owner David Page is a well-known chef (he and Barbara Shinn also own Home restaurant in Manhattan), so that the wines are food friendly isn't a surprise. 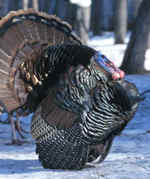 Read Eric's story for more information on this and other Thanksgiving pairing options. "We want to do more traveling and (as) you know, we bought a house in Antibes (France).Ten years is a long run and we've fulfilled our dream 20 times over. But, we still are continuing business as usual. In 2008 our blend is coming out (merlot,cabernet sauvignon and petit verdot) and our Rose will be released this April. I will be working that much harder to keep our standards as high as they are. I want to hand it over to someone who has as much passion as we have. We have met the most incredible people in this industry." She also let me know that Sherwood House Vineyards will be starting a new wine club in the next couple of weeks. If you like elegant merlot and rich, Burgundian chardonnay, you should check it out. "Sherwood House Vineyards this week put its 36-acre Mattituck property on the block for $4.1 million, joining a list of vineyards for sale that includes Ackerly Pond, Castello di Borghese, Galluccio Family Winery, Schneider Vineyards and several smaller properties. At the same time, a "country vineyard estate" in Cutchogue owned by Mark Lieb of Lieb Vineyards went on the market for $7.75 million, along with 47.5 acres of property, according to Sotheby's International Realty Web site. Ed Petrie, the agent at Sotheby's handling the listing, declined to comment, and Lieb didn't return a phone call to the winery." Sure makes me wish I had some extra dough in the ole bank account. I'm trying to get more details from Charles and Barbara Smithen (owners of Sherwood House) and Gary Madden (GM at Lieb Cellars.). Just as interesting -- and I've heard rumors about this for quite some time -- it looks like Leucadia Corp, which bought Charles John Vineyards and Broadfields might be changing it's plans. They ripped out the old vines last year, but apparently the vines they were going to re-plant with are for sale. I've been after Ben Sisson, vineyard manager for Leucadia and LENNDEVOURS reader, for an interview for a while, but the company line has been not to comment on anything. Every wine writer or blogger has to write a wine-pairing column for Thanksgiving dinner. It's a must. It's one of the un-written rules — along with the mandatory New Year's Eve sparkling wine column, which you can expect to see in just a few weeks. Of course, no two Thanksgiving wine-pairing columns are alike. As it should be, everybody has his or her favorites for the holiday. Sparkling wine, chardonnay, riesling, pinot noir, Beaujolais, syrah, Rioja, sangiovese, zinfandel…the list goes on and on and on. There are as many suggestions as their are wine raconteurs. Me, I tend to like pinot noir and riesling best. 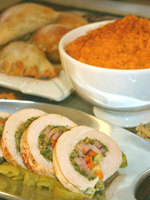 The average Thanksgiving table is covered with a abundance of different foods with varied flavors and textures. You've got somewhat neutral turkey, highly spiced stuffing — with or without sausage — sweet potatoes, green beans, cranberry sauce and rich gravy. Pinot noir and riesling, with their typically food-friendly acidity will cut the richness of the heavier dishes while their fruit flavors will enhance and enliven the other flavors. For local pinot, look to Jamesport Vineyards, Laurel Lake Vineyards and Castello di Borghese on the North Fork and Wolffer Estate in the Hamptons. If you want riesling, I like Peconic Bay Winery, Waters Crest Winery and Paumanok Vineyards — and a plethora of bottlings from the Finger Lakes and, of course, Germany. Okay, my wine writerly duties are fulfilled — now let's get down to it. What am I actually planning to serve on Turkey Day? Nena, Ben Roethlisbeagle and I are heading to Pittsburgh to spend Thanksgiving with my family and its — obviously — my job to bring the wine. My family's doesn't throw me many curveballs — we serve fairly traditional and straightforward fare, with the possible inclusion of 'macaroni' to keep my Sicilian grandmother happy. I always like to introduce la familia to Long Island sparkling wine as an aperitif. This year, I'm taking two — both soon-to-be releases from Martha Clara Vineyards. Martha Clara Vineyards 2001 Blanc de Blanc ($N/A) is made with chardonnay grapes and displays a lightly toasty nose with apple, citrus and minerals aromas. Those apple and citrus flavors carry over to the palate with great acidity and a lingering, appetite-whetting finish. It's dry, but not harsh, making it perfect for the beginning of a festive day..
Martha Clara Vineyards 2001 Brut Rose ($N/A) is made with both chardonnay and pinot noir grapes. It's fruitier with cherries and citrus dominating the nose. It's dry too, but softer, and flavors of cherries and raspberries live within a slightly fuller-bodied frame. Rose sparklers are an under-appreciated food foil. Next, I plan to serve Macari Vineyards' 2006 Early Wine ($15) — a perennial favorite and I think the best edition to date. It features a clean, bright and fresh nose of crisp apple, pear, lime and subtle minerals. Lively pear, green apple and lime flavors are delivered with terrific acidity and finish that is longer than you might expect. This might be the ideal Thanksgiving wine. Considering we're going to be in Pennsylvania, I thought I'd also bring a bunch of PA wine for my family to try. Few of the wineries in Western PA making anything I'd write home about, but Chaddsford Winery in the Eastern part of the state is well regarded. So, I'll take a few of their wines that I picked up recently. At the end of the day, just drink what you like. The "difficulty" in wine pairing is grossly exaggerated. As long as you don't serve cabernet sauvignon with delicate fish or a feather-light white with rustic lamb stew, you'll be fine. But, if you'd like a little help, there's always What to Drink with What You Eat by Andrew Dornenburg and Karen Page, which I wrote about a couple weeks ago. Le Chardonnay Nouveau est arrivé! That's right -- Chardonnay Nouveau, not Beaujolais Nouveau. Every fall, there is an unbelievable (and unwarranted) amount of hype surrounding Beaujolais Nouveau, the ubiquitous red wine made from Gamay in the Beaujolais region of France that is sold almost as soon as it's done fermenting. It's marketed well -- very well -- as a 'fresh' wine and we'll soon seen bottles in all of our wine shops. Some people even consider it the perfect Thanksgiving wine. I don't care for the stuff and it's been years since I made my friends and family drink it along side turkey and stuffing. I'd much rather drink Macari Vineyards' 2006 Early Wine -- a Chardonnay Nouveau that I look forward to every year. And, it's super fresh. 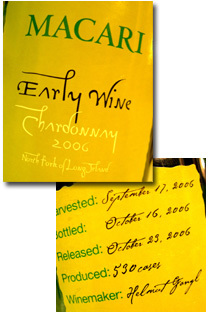 The Chardonnay grapes were picked on September 17, the wine bottled October 16 and the final product released on October 23. Helmut Gangl, an Austrian native who is one of Macari Vineyards' part-time winemakers, created this wine a few years ago, but the newest rendition is by far the best. Rather than call it Chardonnay Nouveau, Gangl chose Early Wine, reminiscent of Jungwein ('young wine') from his homeland. Previous vintages -- especially the 2005 bottling -- had definite sweetness, but the 2006 is bone dry, crisp and delicious. A super-pale yellow in the glass, tiny bubbles cling to the inside of the glass. The nose is clean, bright and fresh with crisp apple, pear and lime aromas that are accented by faint mineral notes. A burst of lively pear, green apple and lime flavor greets the palate with terrific acidity and a surprisingly long finish. If you want to talk perfect for Thanksgiving, talk about this wine, which can also stand in for Riesling with spicy Chinese, Thai or even Mexican fare. Dan Berger, Appellation America's Editor-at-Large, wrote a great little piece last week about riesling's rebirth in America. Riesling is, by far, my favorite white grape and he mentions some of my favorite Finger Lakes producers -- Fox Run and Dr. Konstantin Frank. I thought the story had a little too much California in it -- I've never had a Cali riesling I've liked -- but Dan brought it back into focus with mentions of the Pacific Northwest, Michigan and, of course, New York. Check out the story and keep an eye out here for more information on Michigan riesling. They are the focus of the next installment of 50 States. 50 Wineries. Long Island Restaurant Week: Did Seafood Barge Bend the Rules Too Far? I've never been to Seafood Barge in Southold, NY, but they took part in the first annual Long Island Restaurant Week last week. LENNDEVOURS was a media sponsor of the week-long dining event and most of the feedback I received was good -- almost all of it actually. 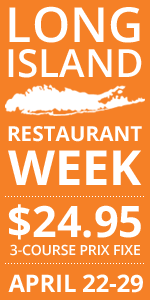 "We've been taking advantage of LI Restaurant Week and going to as many restaurants as we can before the week is up. The best so far has been Tierra Mar at the Atlantica in West Hampton. The worst by far was Seafood Barge in Port of Egypt marina. Not only was the food dismal, but they had the nerve to tack on a surcharge to 4 out of every 6 prix fixe menu selections. When we commented on this to the waitress, she made a snide comment about our being "price conscious". I had stopped recommending Seafood Barge to our B&B guests a few months ago when most of those we referred came back disappointed. This is really quite remarkable for a restaurant that had been for many years, one of the very best on the North Fork. Thought you'd want to know." I've heard mostly great things about Seafood Barge. They seem to support the local wine industry pretty well and the chef is supposed to be great. Of course it's seafood, so that doesn't draw me much. I'm of the opinion that it is far from fair to participate in a three-course, $21.95 prix fixe program only to put surcharges on most of the options. It seems to me that maybe Seafood Barge just took advantage of the LIRW promotion without offering customers what they had bargained for. But what do you think? Am I being too stringent here? That's right ladies and gentlemen, Wine Blogging Wednesday is here again. This month's ice wine-themed edition is hosted by the Kitchen Chick and it should come as no big surprise that I've chosen a local wine for the event. There are several local ice-style wines (I say ice-style because most -- if not all -- are made by freezing the grapes commercially) that I enjoy, so it was hard to pick which one to go with for WBW. 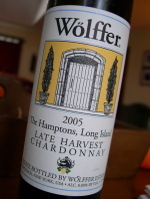 But, in the end, I settled on Wolffer Estate's 2005 Late Harvest Chardonnay ($37). If the name sounds familiar, I've written about Wolffer plenty of times before. In fact, I reviewed the 2003 vintage of this wine for a previous WBW. Last summer, this wine was named the "Best Dessert Wine" at the 2006 New York Wine and Food Classic and after tasting it, it's hard to argue much. A blend of 79% Chardonnay, 13% Vignoles, 4% Gewürztraminer and 4% Trebbiano, the grapes were hand picked in early October and moved to a commercial freezer, where they were stored at 15° Fahrenheit until November 29. The frozen grapes where pressed, yielding a concentrated nectar at 38 Brix, 9.0% Total Acidity and a low pH of 3.2. Fermentation was done in stainless steel to preserve the bright fruit flavors and lasted over a month – with residual sugar of 19.5%. 273 cases of 375ml bottles and 20 magnums were bottled. Intense aromas of apricots, kiwis, limes, tropical fruits and honey jump out of the glass on a terrific nose. Ripe, rich fruit – apricot, peach, tropical and citrus – greets your taste buds along with plenty of sweetness balanced by frisky acidity. The great thing about this bottling is a minerally lime note – think fresh lime margarita with salt – towards the end of a long finish. Clearly this is a wine I enjoyed and will enjoy for some time. Roman Roth, Wolffer's winemaker, tells me it will last 100 years. That might be a bit much, but I think it will improve and evolve for decades. 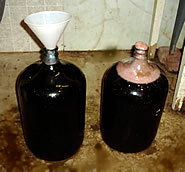 I thought everyone might be interested in what is going on with my first attempt at cabernet franc. Because my day job made it impossible to get out to the winery yesterday, Rich and Don did the pressing for me. He tells me we have about 25 gallons of wine that has "nice color, soft tannins" and is "fruity." My wine is currently in glass carboys similar to those pictured (those aren't actually mine) where they will undergo ML, which will probably take through the end of the year. 25 gallons translates to roughly 10 cases and by the time we're done, probably 7 or 8. That is more wine than I was expecting, so if anyone is interested, may be looking to unload a little. Clovis Point is named for sculpted tools found near their vineyard that were used by the earliest inhabitants of Long Island’s North Fork over 10,000 years ago. Clovis Point was founded in 2001 when proprietors Hal Ginsburg, Mary Bayno, Nasrallah Misk, Jonathan and Renae Pine, and Richard Frey bought ten acres of farm land on Main Road (Rt. 25) in Jamesport. A year later they bought another, existing vineyard just down the street to bring total acreage to 15. The winery team consists of John Leo, formerly of Premium Wine Group and Peter Gristina, formerly of Gristina Vineyards (which is now known as Galluccio Family Wineries). Their first releases include a 2003 merlot and two 2004 chardonnays. I haven't had a chance to visit or taste the wines yet, but hopefully I will soon. 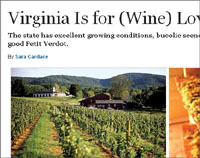 This week's New York Magazine includes a short story about Virginia Wine Country that is worth checking out. Too often, when East Coast wines are talked about it's just about New York...I'm guilty of it myself. I've only sampled a handful of VA wines, but I was impressed by the quality and would like to explore the state more. "Even wine snobs now admit that the Finger Lakes does a mean ice wine and that Long Island produces a number of decent Cab Francs." I'm not familiar with Ms. Cardace or her pedigree, but it doesn't look like she does much wine writing. Why do I bring this up? I was shocked to see her refer to Finger Lakes ice wines instead of the rieslings and choosing cabernet franc over merlot for Long Island is also interesting. You guys all know how much I love LI cab franc, so I'm not arguing...just an odd choice and not one that some merlot marketers are probably happy about. Back in August I was finally able to reveal what my "secret project" from earlier in the summer entailed. 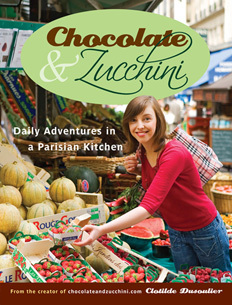 Basically, I helped Clotilde of Chocolate & Zucchini with her book by providing some wine pairings for the deliciously well-crafted recipes in her very first cookbook. She is happy to announce that the book is now available for pre-order on Amazon.com. I had a ton of fun working with Clotilde and learned a lot as I tasted through piles of wines to find just the right pairings. And let me just say this...this is going to be a great book. Anyone who reads C&Z (the blog) knows how passionate, fun and creative Clotilde is and that comes through on every single page of this book. I just got an email from the owner of Oscar's Restaurant & Bar in St. James, NY. The news he shared is pretty exciting. Chef Phillipe Corbet has left his position as Executive Chef at Bouley in Manhattan to become a Principal & Chef at Oscar's. Chef Corbet, a native of France & veteran of several Michelin rated restaurants in France, began his American restaurant career as Executive Sous Chef at Stone Creek Inn in East Quogue, NY. He left Stone Creek as Chef de Cuisine to accept the Executive Chef position at Bouley where he oversaw and directed the kitchen & menu at one of Manhattan's top five rated restaurants. He looks forward to marrying his classic French training, the contemporary global style required for a high-profile Manhattan restaurant, and local and regional influences to provide a distinct cuisine which is uncomplicated at first glance but is layered with subtleties and complexity and can be appreciated by the “Foodie” and casual diner alike. I've only eaten at Oscar's once, but this sure seems like a reason to go back. I consider myself fairly sophisticated and cultured, but a trip to an art gallery — and just an art gallery — isn’t necessarily my cup of tea (or glass of wine.) I need a fine meal either before the gallery or after (or maybe both) to entice me. The way to a man’s heart is through his stomach, right? But, there’s a new Gallery on the North Fork that I’m willing to visit — and open — any time. In fact, I plan to several times over the course of the next few months. 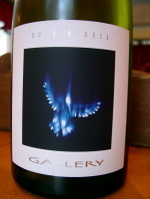 Bedell Cellars has just released the newest of its art-inspired wines, the 2005 Bedell Gallery ($45). The press kit lauds this wine as “further evidence that Bedell is perfecting the art of wine.” A bold statement, but not as boastful as it might seem. This complex, richly textured white is a blend of 52 percent chardonnay, 32 percent sauvignon blanc and 16 percent viognier — a unique blend for the North Fork or most anywhere else for that matter. Five separate lots of chardonnay were barrel fermented in French oak with primarily native yeast, then blended with viognier and sauvignon blanc. I tend to like Bedell’s chardonnays and used to love founding winemaker Kip Bedell’s varietal Viognier bottling, so this blend was intriguing even before I popped the cork. Pale straw yellow in the glass, the aromas immediately rise up from the glass — before swirling even begins — with lemons, vanilla bean, toasty marshmallow and oak, minerals and subtle baking spice come together in a layered-yet-fresh nose. The blend is absolutely seamless on the palate, with the three varieties coming together without any rough edges. The result is an elegant, well-balanced wine that is nimble on the palate but extremely flavorful. Citrus, vanilla and mineral flavors fill the mouth and just the right acidity brings balance and potential longevity. Balance is truly on display here. In a wine world where so many emerging regions look to classic regions like Bordeaux and Burgundy for wines to model their own after, this wine stands alone as distinctively Long Island. The winemaking team at Bedell Cellars has used thoughtful blending to create an outstanding wine that fully displays, and I think explores, the potential for white wines on the North Fork. Perfecting the art of wine? Maybe. But this wine is exciting because it shows off our region’s terroir in a beautiful way — both the wine and the label, which was designed by globally renowned artist Ross Bleckner. They only made 200 cases, so I doubt it will last long. 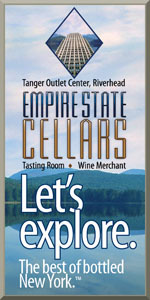 Visit their tasting room or www.bedellcellars.com for more information and to order.